Dental crowns are common. In fact, an astounding 15 million Americans have crowns to replace missing teeth, reports the American Academy of Implant Dentistry. The dentists at Wesmark Family Dentistry in Sumter, South Carolina, are highly trained professionals that can explain your crown options. Call or make an appointment online if you suspect you may need a new crown or crown repair. 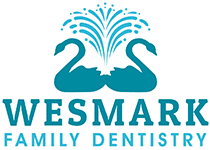 The experienced dentists at Wesmark Family Dentistry may suggest a crown for many reasons. A crown can cover a strangely-shaped or dark tooth, or a dental implant. Crowns are more than cosmetic solutions. They can cover and protect a weak or cracked natural tooth. Crowns can strengthen teeth that have been weakened by excessively large fillings or that are in danger of breaking. Different materials are used for different purposes. For instance, stainless steel is usually the preferred material for temporary crowns. It's common for dentists to use prefabricated stainless steel crowns to cap children's baby teeth. Metal crowns are strong and able to withstand the impact of chewing and biting, but due to their striking color, they're commonly used on teeth in the rear of the mouth. Most of the time, a minimum of two visits are necessary for a dental crown procedure. The first visit will include X-rays so that your Wesmark Family Dentistry dental professional can ascertain the condition of the tooth that’s getting a crown. Next, the dentist will administer anesthesia, then build up or file down the original tooth so that the crown will attach securely. After that, the dentist will take an impression of your teeth. The impression will go to the dental lab and be used to create a custom crown. Your dentist will create a temporary crown to protect your tooth until the permanent crown can be placed. If you choose to get a CEREC crown, however, you can get your crown the same day. CEREC technology allows your dentist to manufacture a ceramic crown for you during your office visit. It works sort of like 3D printing. To learn more, talk to one of the professionals at Wesmark Family Dentistry. Would you like to learn more about dental crowns or think you might need a crown replaced? 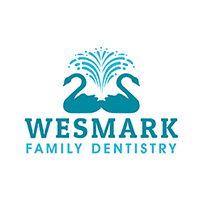 Contact the experienced professionals at Wesmark Family Dentistry or make an appointment online.